Today on International Women’s Day, APOPO would like to celebrate and thank all the women around the world working in our programs for their courage and dedication and hard work. APOPO is an organization that embraces diversity in many ways and always engages the best possible candidate for the job, regardless of gender. Women hold positions at APOPO at all levels, notably our Chairwoman of APOPO’s U.S. Board, Head of Tuberculosis, Head of Training and R&D, Mine Action Advisor, Head of the Swiss Foundation and Head of Human Resources are all women in senior and influential posts. Across our R&D team and our TB detection department, women are very well represented, as in our overall management structure. Even in a male-oriented profession like demining APOPO strives to achieve balanced employment of women and men. 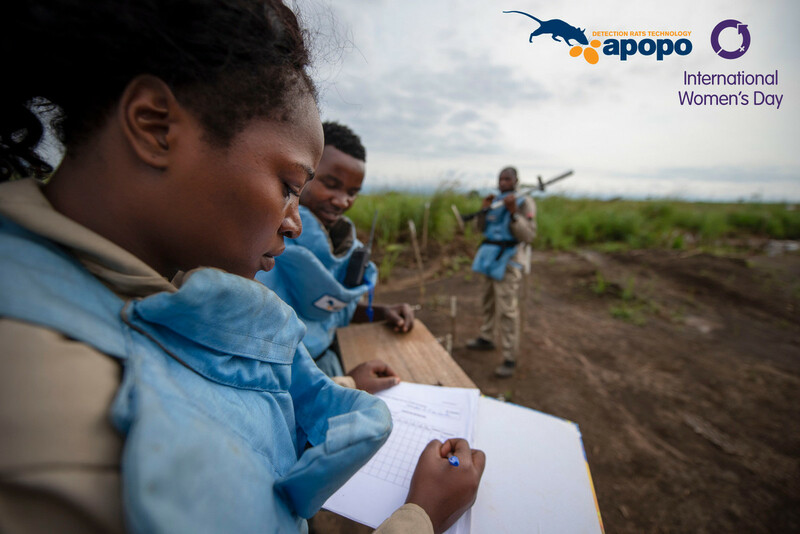 In 2018, the APOPO Angola program was proud to welcome its first female deminers to the team. 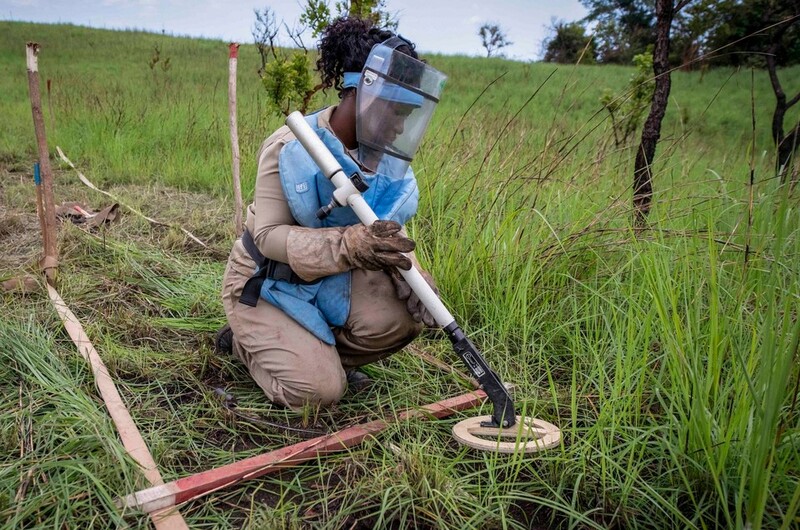 Two locally-recruited women underwent an intensive demining course, joined the team and have been working to clear minefields in Uíge province in northwest Angola. Inclusion of women to the team not only represents a program ‘first’, but also a clear barrier broken down in the conservative attitudes towards the role of women in the region. Meet Yolanda Bartolomeo, a brave single mother of two teenage girls. Life has been hard for Yolanda raising her two girls on her own and before APOPO, she worked many jobs trying to make ends meet. But Yolanda is resolved to build a safe future for herself and her daughters. Financial security allows her to meet day-to-day needs but also to put her daughters through school. And this is Sozinha Pedro, at just 25 years old she's the youngest employee of APOPO mine action in Angola. And she is determined to make her own future. For as long as she could remember she wanted to be a police woman and help people. When she heard about APOPO and how the organization uses landmine detection rats to find the landmines quickly - she was immediately interested! By hiring women and men from the landmine impacted communities, APOPO raises our staff, their extended families and the local communities out of poverty while contributing to peace-building and sustainable futures. 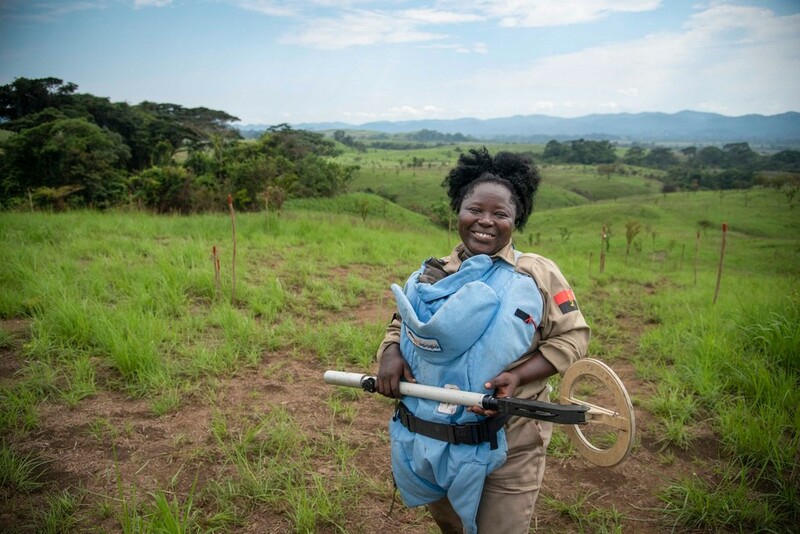 Historically many deminers were men and employing women was met with some resistance (usually based on cultural and religious arguments that demining is not an activity meant for women). APOPO tries to incorporate and promote inclusion of women among its staff as much as possible and believes a gender balanced organization is a better organization. APOPO Angola is most grateful for the support and generous contributions of its partners and donors.